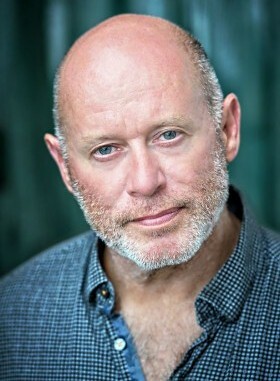 Kevin Fegan has written to commission over 50 stage plays for a wide variety of theatre, including award-winning plays ‘Excess XS’ (Contact Theatre 1992 – first play about the rave scene) and ‘Strange Attractors’ (Contact in association with Granada TV 1994 – first play about virtual reality), ’52 Degrees South’ (Imperial War Museum North 2002), ‘White Trash’ (Quarantine at Contact 2004) and more recently ‘Slave’ (Feelgood Theatre at The Lowry and national tour 2010-11). He has written several plays and drama serials for BBC Radio 4, and worked as a storyline writer for Granada Television’s Coronation St. He has also published 10 collections of poetry, and edited several anthologies. He is a regular performer of his own poetry. 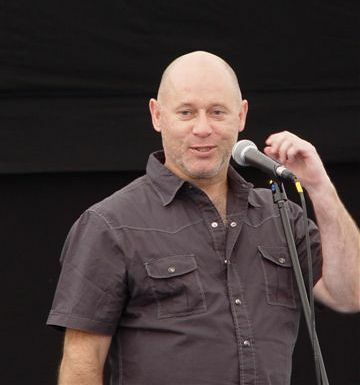 Kevin has worked extensively as a writer-in-residence in a wide variety of community and education environments, in particular prisons. Sept 2017 saw the premieres of four new theatre plays by Kevin, as featured in the interview with Sara Cox for BBC Radio 4′s “Loose Ends”. “The Shed Crew” (Red Ladder at Albion Electric Warehouse Leeds) is an adaptation in verse of Bernard Hare’s best-selling true story book about feral kids in inner city Leeds. “The Ruck” (Lawrence Batley Theatre) is a fun, physical play with songs and raps inspired by Batley Bulldogs’ Girls Rugby League Team. “Bess the Commoner Queen” (Guildhall Derby) is a one woman show mixing theatre and film about Bess of Hardwick, a Derbyshire lass who rose to become the richest woman in Elizabethan England. “Down the Line” (Barrow Hill Roundhouse Railway Centre) is a site-specific community play featuring the stage debut of the world’s most famous steam loco, “The Flying Scotsman”. 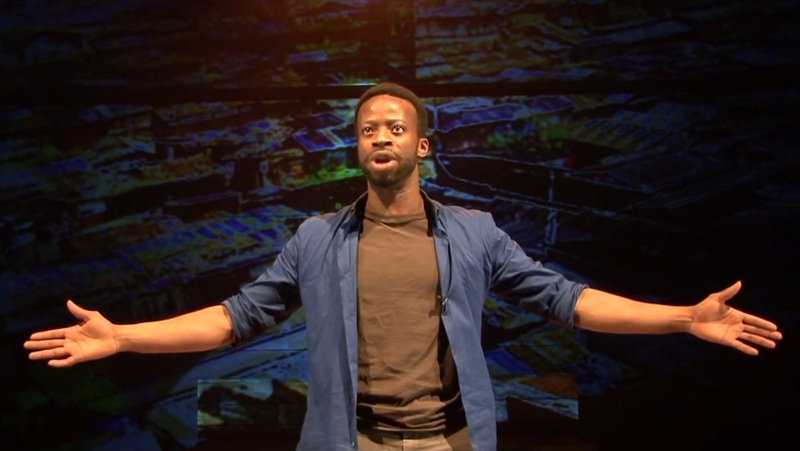 Other recent plays include “Obama the Mamba” (Curve Leicester & The Lowry), a play about Barack Obama’s Kenyan brother, George Obama, self-styled “President of the Nairobi slums”; “Slave” (The Lowry & national tour) and “Fireflies: a love story waiting to happen” (The Lowry). Kevin has published 10 collections of poetry, including the dramatic poems “Matey Boy” (Iron Press 1990) which was performed by Kevin on two national tours; “Blast” (Five Leaves 2002), a Manchester Poetry Festival Airport Commission at Contact Theatre of his BBC Radio 4 verse drama (nominated for a Sony Best Drama Award); and “Racer” (Five Leaves 2003), also commissioned by BBC Radio 4. Other collections include “Let Your Left Hand Sing” (Five Leaves 2003 & 2008), commissioned by the Commonwealth Games Cultural Programme and, more recently, “Away Pitch” (Artsmith 2011), an Inspire Mark Winner commissioned by the Olympic Games Cultural Olympiad. His poems have appeared in various magazines, including “The New Statesman” and “Index on Censorship”. He has given hundreds of poetry performances at live literature venues and has been a featured poet on BBC Radio 4′s “Encyclopedia Poetica”, ITV’s international poetry series “Word of Mouth”, Granada TV’s “Celebration” and BBC 3′s poetry series “Whine Gums”.